We just returned from an amazing trip to Japan and Bali. It's hard to sum both up in a post, so I'll just focus on the sewing part of our adventures. 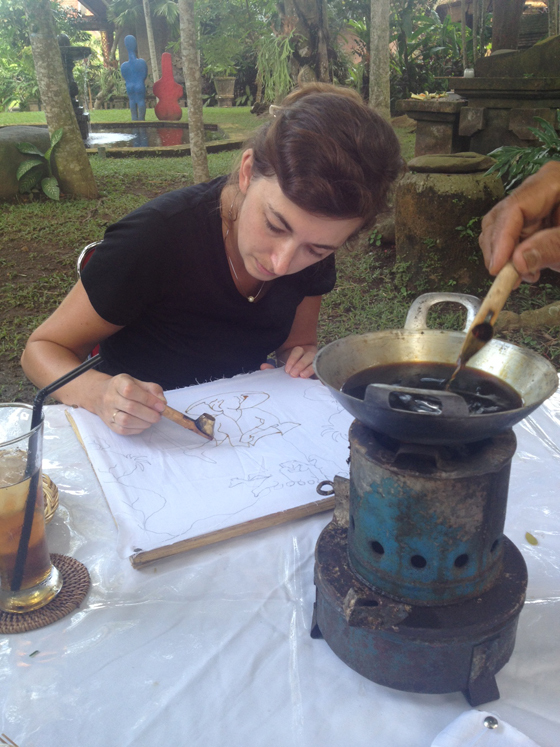 My friend, Jennifer found a Batik class at ARMA in Ubud, which ended up being one of the highlights of my trip. While we did our batiks, Michael played the gamelon (for a separate class), which echoed throughout the grounds of ARMA's beautiful campus. 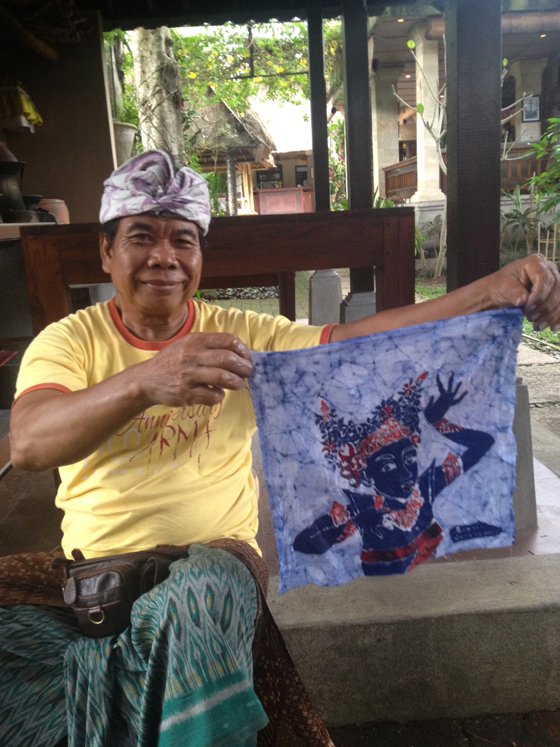 Our class was done by a man who has been instructing batik-making for 30+ years. I had a blast and was smiling the whole time! 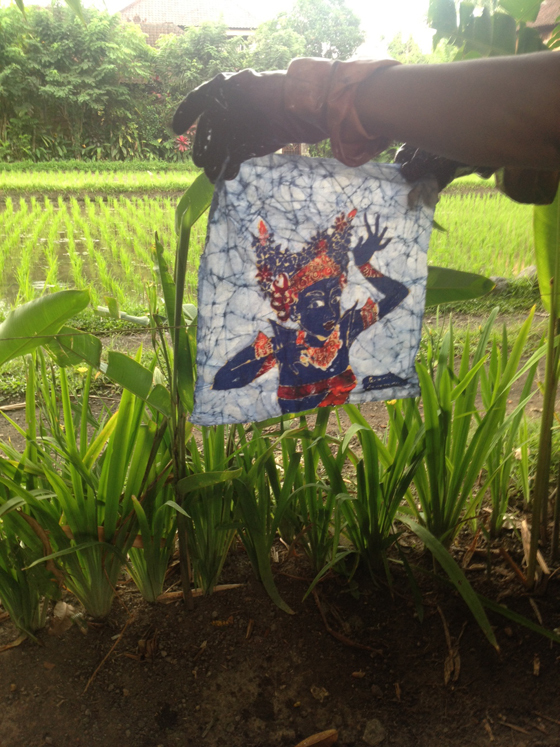 I was so excited about my batik I packed it in my carry on just in case my suitcase got lost on the way home.